Crest Cleaning Services provides Seattle carpet cleaning and only uses experienced and professional cleaning services for many different types of cleaning jobs around the Puget Sound area. Crest Cleaning Services serve residential, industrial, and commercial customers. Our team of trained expert cleaning professionals has the ability to clean for commercial, office, and home settings. After just one visit our customers aren’t sure that they are seeing the right room because we guarantee our team of professional cleaners will transform your carpets to their original pristine condition. Rather than eliminate them, many people waste a considerable amount of money on expensive containers of carpet cleaners and carpet deodorizers that are specifically designed to mask or cover the smell on carpet stains. Sooner or later the smell returns. We will eliminate the smell on those carpet stains to ensure the long lasting cleanliness of the carpet. Crest Cleaning Services provides carpet cleaning Seattle, WA that is dedicated to only using organic cleaning products that are friendly to the environment. In addition, we pride ourselves in providing punctual, diligent and courteous cleaning services to all of our valued customers. Our only genuine desire is our customer’s complete satisfaction with our services. Our cleaning crews thrives on cleaning the most challenging methods such as dry carpet, steam carpet, wall to wall, and area rug cleaning techniques. We provide many different cleaning services including sanitizing and deodorizing, pet odor and stain removal, grout and tile, sofa, mattress, upholstery, and rug cleaning, stain and spot removal, commercial services, and residential services. For all of these areas, we have trained professional crews of cleaners that can make these areas look and smell like new. Our enthusiasm is only exceeded by our attention to detail. We have numerous years of experience in the cleaning business. Also, we will restore the most stained carpets to like new condition and will only use the best cleaning products that are also environmentally friendly. Crest Cleaning Services offers Seattle carpet cleaning and will customize our efforts to our customer’s requirements. We can remove the most difficult and stubborn stains and make carpets look and smell like new again. In addition, our professional cleaners have also been trained at cleaning draperies and upholstered furniture. Oftentimes, these items are ignores even though they can be just as stained and smell as bad as carpets. They also absorb the same amount of allergens as carpets. We provide Seattle carpet cleaning that is a reliable, dedicated, and responsive carpet restoration service and are available 24 hours a day seven days a week. We provide guaranteed customer satisfaction and provide high quality and consistent carpet restoration services. We only use state-of-the-art equipment. Our experienced crews are our own employees and are never subcontracted out. There are numerous reasons why we offer the best commercial cleaning services in the industry. We get rid of microscopic pollutants in the carpet such as dust mites, allergens, and dirt. We do this by injecting hot water combined with our environmentally friendly, child and pet safe, carpet cleaning Seattle solution into the carpet. We then use a special nonabrasive carpet restoration tool to remove all soil and dirt from the carpet. Then, all of the moisture is sucked out of the carpet, which significantly reduces the drying time. Crest Cleaning Services understands that every commercial carpet cleaning Seattle situation is unique. This is the reason that the first thing that our professional carpet cleaners will do is an in depth analysis of the carpet to be cleaned, paying special attention to any high traffic and heavily soiled areas of the carpet. Then, our professional carpet cleaners will use our very effective moisture truck mounted extraction system to remove any debris and dirt from the carpet that might not be visible. Although it might still be damp to the touch, our vacuum system will extract the majority of the moisture from the carpet. The carpet shouldn’t be walked on in street shoes. Until the carpet or furniture is completely dry the protective pads that we provide should remain in place. 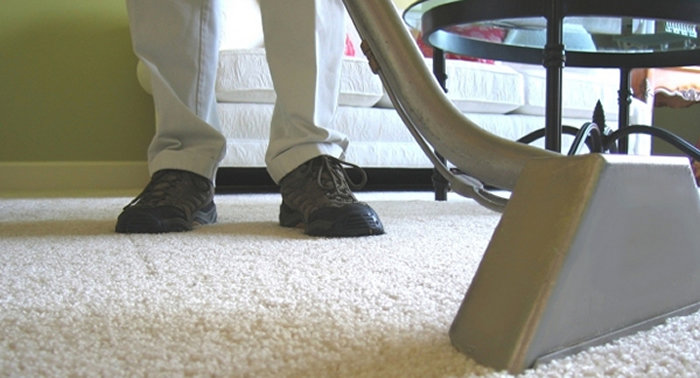 We offer Seattle carpet cleaning that is hassle free, quick, and convenient. We will move all of the furniture prior to cleaning the carpet and replace it to the original position after the carpet has been restored to its original condition. Our customer’s homes are back to normal before they know it. These are just some of the reasons why we are the best carpet cleaners in the business. We set the standard in high quality carpet restoration services. We only use crews that are the most experienced professional carpet and furniture cleaners in the Seattle area. We do our customers right regardless if we are restoring a piece of furniture, an heirloom carpet, or large commercial project. We also provide all of our customers with a 100% customer satisfaction guarantee. Or customers who care about the experience of their carpet cleaners and the quality of workmanship always call Crest Cleaning Services.